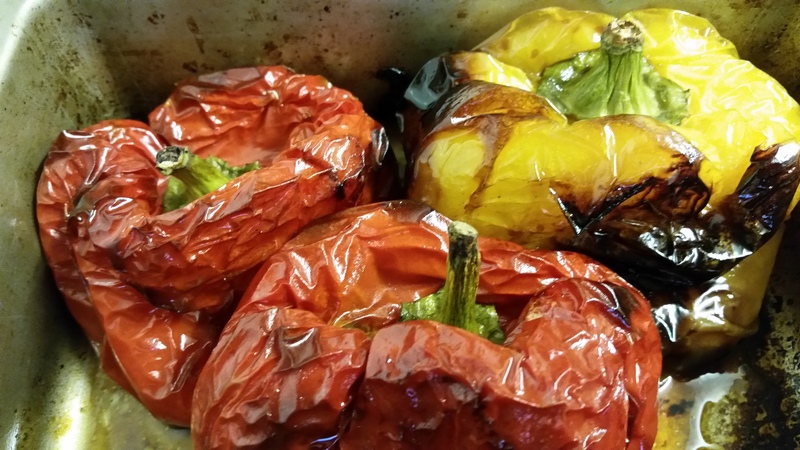 There is something nice about the smell of roasted peppers. Pepper roasted in the Oven with a bit of Olive Oil will stay in a fridge for up to 10 days or more (ours are usually gone by two days). We mostly use them to make a simple creamy Sauce. You can also have the slices in a salad, pizza toppings, sandwich filler. The sauce is a good way to get more veg into fussy children too as they will love sweet creamy taste. 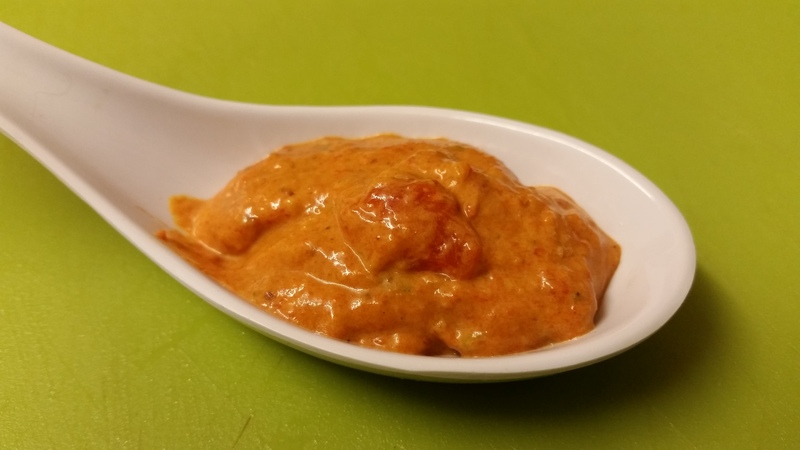 If you make the sauce slightly thicker then you can also use it as a dip or a spread. We usually make ours slightly thicker and store in a closed container for a few days. We dilute it and use it for a quick pasta sauce. We also often add diced Chicken or prawns to make it into a more substantial meal. We use red peppers where possible and also the yellow peppers but have found out that the green one do not work for this recipe. Usually find that two red peppers and one yellow pepper is enough for about 4 portions give or take. Put the peppers in a roasting tin. Cover with olive oil and roast in an 200 degree C oven for about 30 to 40 mins turning 2 to 3 times till the skin gets gently charred. If uou have a barbeque then you could roast the peppers on it. Take out into a bowl and cover with a foil and let cool. Roast the garlic cloves in the same pan for about 10 to 15 mins stirring few times without burning them. Meanwhile fry some sliced shallots or small white onions in olive oil till soft and translucent. Use a coverd pan over a low heat stirring frequently. This could take some time. When the onions are done let it cool. While that’s cooling peel the charred skin of the peppers and cut and take the stalk and seeds off. Add everything together and blitz in a food processor adding about 4 tablespoon of soft cream cheese and 4 tablespoon extra virgin olive oil, salt and pepper. Don’t overdo this as a bit of texture is preferable. 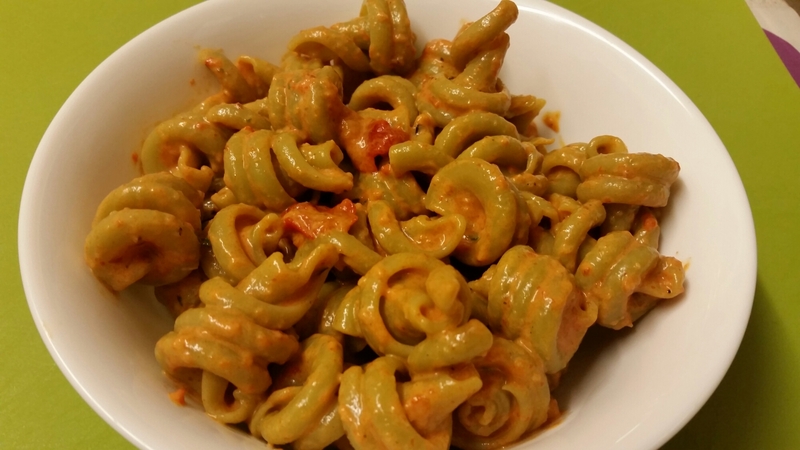 Serve mixed with freshly cooked pasta (usuing a bit of the drained pasta cooking water to loosen the mixture. We love ours as it is or with the addition of chicken or prawns) or store in a closed container to use as a dip or spread.